Every morning, 365 days a year, the people of La Boquilla get up to go fishing. 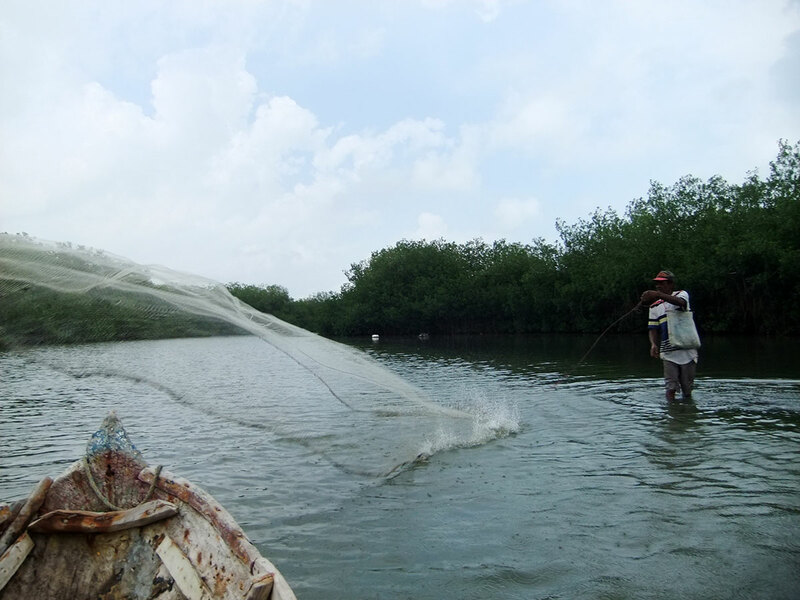 La Boquilla is home to many African families whose main source of income is fishing. There are two large lagoons: the Ciénaga de Juan Polo and the Ciénaga de la Virgen. Different species of fish can be caught in these lagoons, and fishermen use their own traditional techniques to do so. They catch sea bass, tarpon, mojarra, red snapper, lebranche, as well as sea snails, clams, shrimp, crabs and lobsters. Three techniques are generally used: fishing line, nets and traps. The anglers will wait for us at La Boquilla to take us to the lagoon in their canoes, the guide will help you communicate with them. 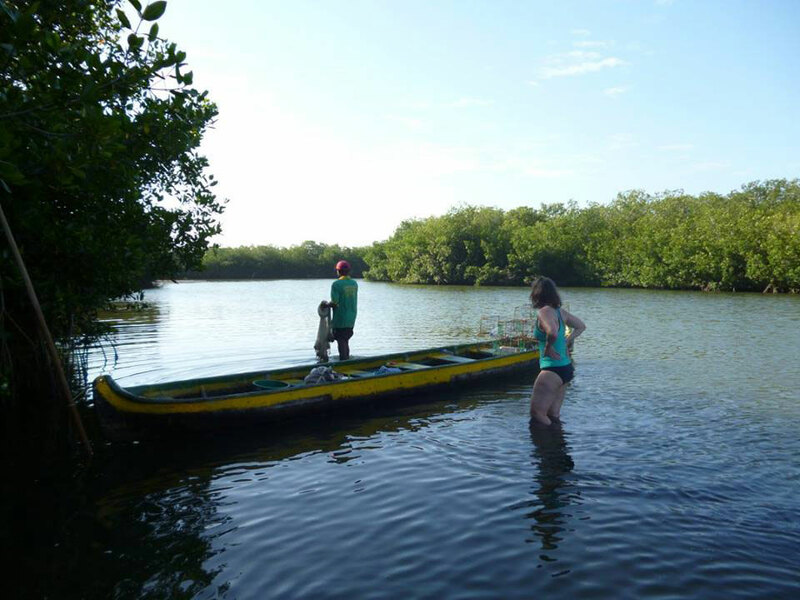 For about 2-3 hours, we will fish in the lagoon (don’t forget to bring a hat, sunscreen and mosquito repellent). 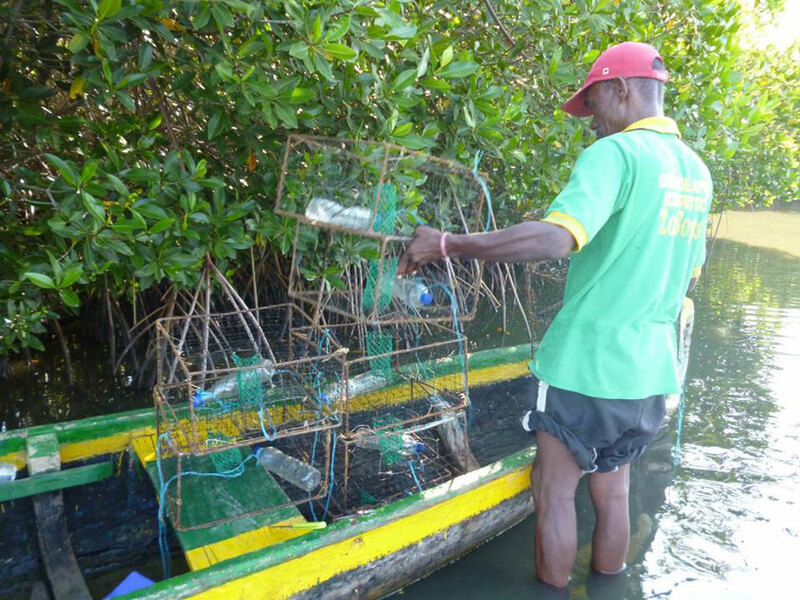 The fishermen will explain how to use the fishing line, how to organize the fishing net and how to set the traps to catch shrimp and crabs – you can keep your fishing! If you want to eat the fish and crabs you caught, we can go to one of the fishermen’s houses to cook and eat together.